James Samuel Watson was born in Spanish Town on May 29, 1882. His father, James Michael Watson was a Sergeant in the Jamaica Constabulary Force and later worked for the Jamaica Government Railway, as a conductor and platform foreman. His mother was Elizabeth Jones Watson, but there seems to be no further information about his parents, such as what part of Jamaica they originally came from. Several sources mention a family relationship to the families of Colin Powell and Bruce Llewellyn, but that connection may be through Violet Lopez, James S Watson's wife. He received his early education in Jamaica, presumably in elementary schools in Spanish Town, and then at Beckford and Smith's High School. 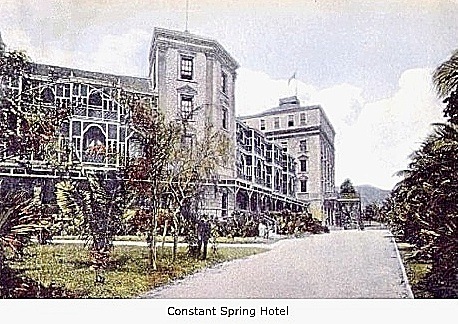 After leaving school he worked at the Myrtle Bank and Constant Spring Hotels, as bookkeeper, cashier and chief clerk. In June 1905 he arrived in New York, and spent much of his time over the next five years advancing his education at the New York, and Harlem, Evening High Schools, receiving a general diploma in 1910. For the next three years he went to evening sessions at City College and at the same time worked for his law degree at the New York Law School, receiving the LL.B in 1913. From 1908 to 1914 he was a law clerk at House, Grossman and Vorhaus, at 115 Broadway. He was admitted to the New York State Bar in April 1914, and in May to practise in the US District Court, Southern District of New York. He remained at House, Grossman and Vorhaus until 1920, becoming head of their Department of Corporate and Tax Law. 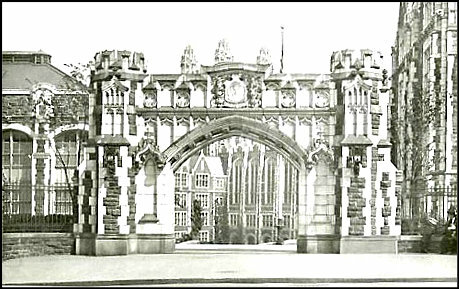 Townsend Harris Hall Gate, City College, 1908. In 1920 he started his own law firm, joined by two Black attorneys, S T Christian, and J E Stevens, at 240 Broadway. From 1922 to 1930 he worked as Special Assistant Corporation Counsel of the City of New York in the Special Franchise Tax Division. In 1930, having successfully campaigned to become a Municipal Court judge along with running mate Charles E. Toney, and thus becoming one of the first two justices of African descent elected to judicial office in New York City, he handed his law firm over to his two colleagues. James S Watson served as Municipal Court Judge from 1930 to 1950, winning re-election in a bitter campaign in 1940, when a committee including Adam Clayton Powell Jr had to put pressure on the local Democratic political machine to support his candidacy. In May 1950 he resigned from his judicial post in order to accept the presidency of the Municipal Civil Service Commission, a position he still held at the time of his death 2 years later. As a judge James S Watson was involved in several landmark cases. The most often noted is his decision in 1934 in the case brought against the North German Lloyd Steamship Company by a bondholder in that Company, when he ruled that a German government moratorium on interest payments to bondholders was not binding; his decision was upheld by the higher court. He was honoured in 1938 for his record of public service by a testamonial dinner from the New York City Bar Association. In 1943 he became the first African American lawyer admitted to the American Bar Association, since 1912 when 3 Black lawyers had been admitted because their 'race' was not known; after that applicants were required to state their 'race' and no African-Americans were admitted. Watson was active in various civic organisations including among others the NY Urban League, the Prince Hall Masons and the YMCA. He was also involved in West Indian organisations and was awarded the CBE in 19?? for his work for West Indians in the USA. In 1931, after winning election to the Municipal Court bench in New York, Judge Watson visited Jamaica, with one of his closest supporters, another Jamaican, Dr Lucien Brown, staying at the Myrtle Bank Hotel in Kingston. 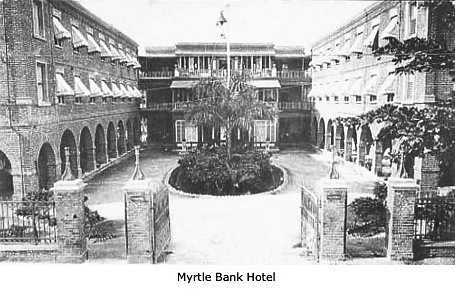 As recorded in the Gleaner of September 4, 1931, a fine banquet was held in his honour in Spanish Town, put on by his old friend, Jacob Hume Stewart, a prominent Black business man, at his hotel, Marble Hall. The Custos, and the MLC, for St Catherine were among the numerous distinguished guests; also present was Charles Milton Hinchcliffe, Judge Watson's elder step-brother, to whom he paid tribute for his sound advice and good example when he was growing up. The two men were enthusiastically entertained, at Kensington Club, by the Imperial Association, out of respect and admiration for their achievements. James S Watson died in 1952, and his funeral took place at St Martin's Episcopal Church in Harlem where he had long been a devoted member. Thousands, including most high-ranking city officials and civic leaders, attended the service, and the interment at Woodlawn Cemetery. Thousands more watched the funeral procession. A fitting farewell to a devoted public servant and fine human being.